Comfort, versatility and functionality do not have to be mutually exclusive. With our hydromassage shower systems, you can have all this and more. Eminently practical, they easily fit into small spaces, transforming any bathroom into an authentic oasis of well-being. Versatile and functional, they can even be fitted to very small spaces and deal efficiently with all day-to-day needs. 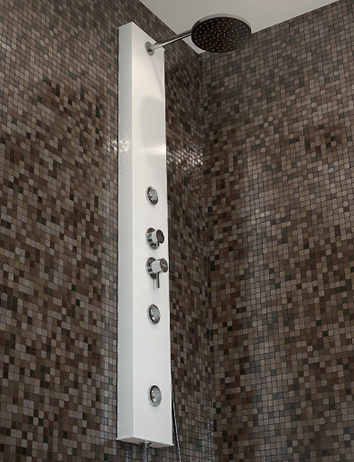 Choose your SANITANA hydromassage shower system and give your bathroom an up to date and contemporary look.